WAXEX is the official token of the Waves African Exchange. It is a digital token on the Waves Platform Blockchain. Existing reward and loyalty programs are proven market drivers. However, they tend to be the playground of the big corporate players who can afford the costs required to manage them from the technical infrastructure to support systems. What if a startup or small to medium size business can get access to an effective reward and loyalty program or enhanced mobile marketing strategies without the astronomical entry barrier? Forget costly SMS promotions, SPAM email newsletters or mass mail drops that annoy your potential customers. Instead, you can send “discount vouchers” to a huge variety of customers, local, or international, at a fraction of the cost. Distributing your own custom rewards tokens to WAXEX token holders at no extra cost is now possible! Create hype and new market interest in your business, link visually rich content for an amazing brand experience and track all transactions related to your tokens through the decentralized blockchain. Imagine swapping loyalty program points for another loyalty program product or transferring them as one would a “gift voucher”. Just like you can buy music online with your money, now you can transfer the ownership of that music to someone else or re-sell it. The gateway will allow you access to the exchange to sell or trade your tokens and cash out in the equivalent fiat value. This system will also allow small to medium size companies to have their own high tech loyalty point programs without the cost or infrastructure that currently is needed to run such a program. Additionally, unlike many rewards programs, those rewards never expire. You own them 100%. You don’t need to be an existing customer to receive these rewards, companies will compete for your attention directly by giving you free samples. The more WAXEX tokens you have, the more free points or rewards you earn. Promotions are based on your existing shopping behaviour whereby tokens will appear in your waves wallet, and you will get payment notifications (a Telegram notification service called the Waves Splash Bot). We sell the tokens – and owners of those tokens reap the benefits of the rewards platform. The more tokens you buy, the more they will get in return via distributed rewards. It is like a membership to a globally accessible rewards exchange. The token value is not linked to the original purchase price but rather to the value the token holder places on the rewards received. The more people that own tokens, the more attractive it is for companies to market to them, meaning more benefits flow back into the system. Send promotional voucher tokens to a targeted audience. Specify existing or new customers for a targeted campaign. All of this is possible by using Waves Platforms integrated airdrop services. How do I make use of the service? Do you have a company or product you wish to market? Is traditional marketing too expensive? Are your existing email newsletters and pay per click advertising campaigns just not showing any results? To make use of the service you need to register a business WAXEX account and complete the CYK verification process. Once you have been verified you can make use of our specialist WAXEX B2B services. Registered and verified WAXEX business accounts can make use of our rewards distribution service at no additional cost to WAXEX token holders, or for a small fee to other wallet selection criteria such as a specific Token Holder Rich List. Costs are calculated at 0.001 WAVE per wallet distribution volume. What can do with WAXEX tokens? freely traded on the Waves Platform Blockchain decentralized exchange. WAXEX tokens will be used as voucher tokens that can be redeemed for goods and services with participating affiliate partners or service providers. Recieve air drops every Monday from our Rewards partners! 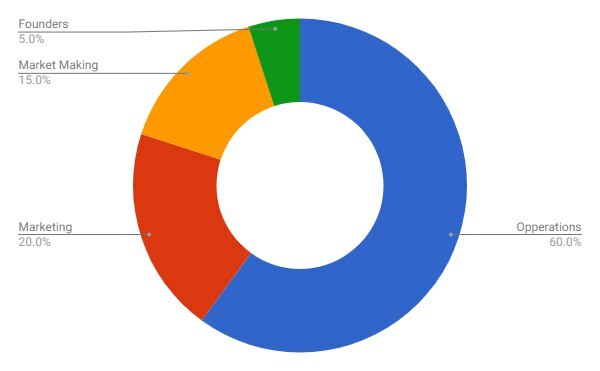 What do the tokens buy? The tokens are not money, they are a service product (membership) that gives you access to a rewards program. You can sell part of the rewards you don’t like for more tokens that will then increase your bounty balance and give you a larger share of future rewards. Tokens can also be used as votes for future gateway expansion and services. Where can I get WAXEX? WAXEX tokens can be purchased directly on the Waves Decentralized Exchange (DEX). You can also purchase WAXEX tokens via Paypal on our website. The remainder of the tokens will be held back for a minimum of 1 year since the start date of the main token sale. The rest of the tokens will be released over time, to ensure market stability and liquidity. These tokens will be locked in with smart contracts and multi-signature wallets, once this feature becomes available on the Waves Platform. 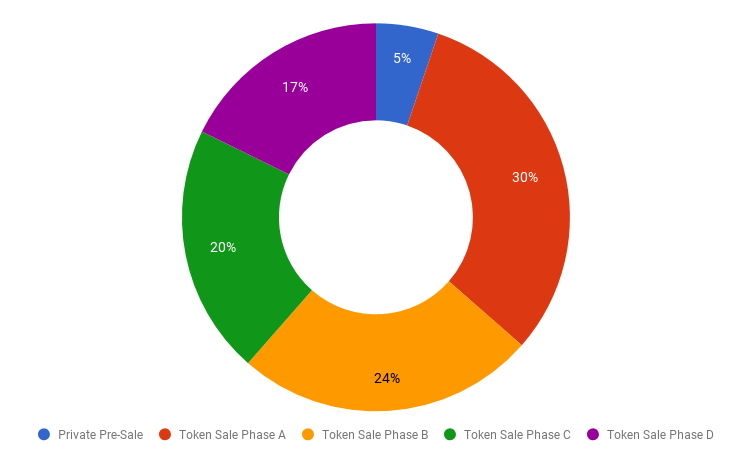 If we don’t reach our soft cap target of at least 46.8% of Phase A (excluding the Pre-Sale), we will assess the situation and decide if we need to give an extension, or if we need to close the token sale. If the extension period does not result in the reaching of the soft cap target, all tokens will be refunded to the originally purchase account at the price it was originally bought at. No tokens that were distributed for promotional purposes, will be refunded. Any tokens that were bought from third parties, will not be refunded by us. Only tokens bought directly from the official token sale will be refunded. Proof of purchase from our account is required for any and all refunds. Refunds will take place within a 30 day period of the closing date of phase A, or the extension period. The majority of funds from the token sales will go towards development and infrastructure and the day to operational costs. Any tokens that were unsold during the token sale period will be reserved for company use. Use may include marketing promotions, air drops, resale or employee benefits. How do I vote for my Fiat Gateway of choice? WAXEX will implement a decentralized voting system for future projects including fiat gateways for other African national currencies. Voters will “spend” their WAXEX tokens by sending it to a voting node that records the result on the open blockchain. What is the Waves Platform Blockchain? Waves is an open-source blockchain platform that allows users to launch their own custom cryptocurrency tokens. Whilst popular cryptocurrencies such as Bitcoin and Ethereum can be traded on external exchanges, and Ethereum allows users to create new tokens on the platform using a smart contract, Waves includes this functionality in its core software and wallet. Users can create, transfer and exchange blockchain tokens on a peer-to-peer basis, paying transaction fees in the native WAVES token. The platform has a fixed supply of 100 million WAVES and uses a network consensus algorithm based on Bitcoin-NG, updated for proof-of-stake networks, called Waves-NG. Waves uses trusted gateways to issue blockchain tokens backed by fiat money and digital currencies for use on its own platform. Waves was founded in 2016 by Alexander Ivanov, a Russian physicist, with development funded by a crowdsale held in April and May 2016. Waves’ community and development is international, with a wide range of initiatives built on the platform and based in different locations around the world. Waves’ blockchain consensus algorithm is Waves-NG, which is based on the Bitcoin-NG proposal created by Emin Gun Sirer. Bitcoin-NG was designed to increase transaction throughput on the bitcoin blockchain: ‘the system can at best achieve a modest transaction throughput, rising from ~3 transactions per second to ~6 transactions per second if the block size is doubled. This is far from the 30,000 transactions per second necessary to compete with the likes of VISA transactions. The same fundamental limitations apply to Ethereum, Litecoin, Dogecoin, and all other currencies that share Bitcoin’s blockchain management protocol. In Bitcoin, the system generates a retrospective block that encases in cryptographic stone the transactions that took place in the preceding 10 minutes. In Bitcoin-NG, the protocol is, instead, forward-looking: every 10 minutes, NG elects a leader, who then vets future transactions as soon as they happen. The former is necessarily limited by the block size and block interval, while the latter approach can run as fast as the network will allow. This approach has been adapted to Waves’ proof-of-stake model, theoretically enabling hundreds of transactions per second. What is the Waves DEX? It’s a decentralised exchange, built into the Waves blockchain. The DEX allows users to trade their tokens — including WAVES, BTC and any other assets issued on the Waves platform — completely trustless, and without having to move their funds to a centralised exchange. Orders are paired on a centralised basis by Matcher nodes. These execute a trade but have no access to funds. The trade is then settled on the blockchain for maximum security. All orders are sent to a centralised server, which matches incoming orders at high speed, but actual transfer of funds happens on the blockchain. It is not logical or safe to store decentralised assets on a centralised platform! How can I use DEX? Simply download the Waves client from their official website, www.WavesPlatform.com, or use their web wallet, available at Waveswallet.io. You can deposit your bitcoins into the wallet and start trading using the Exchange tab.